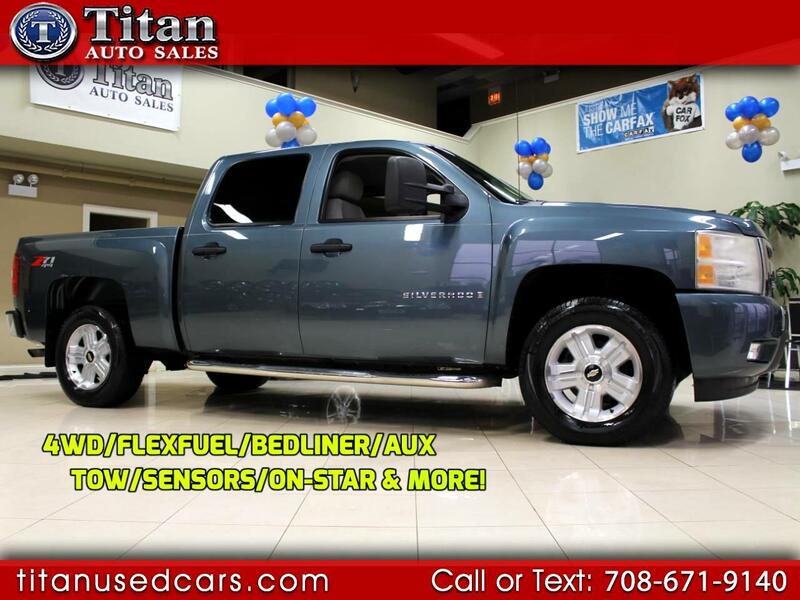 REMOTE START*RUNNING BOARDS*BEDLINER*Z71 PACKAGE*POWER SEATS*NEW BRAKES*VERY CLEAN!! Just completed our 160 point inspection. Replaced all 4 brakes and rotors, serpentine belt and oil change. Very clean Silverado equipped with Z71 Suspension Package, remote start, power drivers and passenger seat, brand new bedliner, chrome tubular running boards, tow package, driver safety package, 18-inch aluminum wheels, multi-zone tire pressure monitor system, automatic climate control, steering wheel controls,heated mirrors, rear park assist, front fog lamps, 4wd traction and a powerful 5.3L engine. Buy with confidence from our AAA+ rated business. Our Quality, Prices and Reputation can't be beat. Proudly serving thousands of satisfied customers for over 15 years.